A proprietary blend designed to help you reach your healthy weight, tone up and energize your life. Supports up to 8 hours of natural sustainable energy*. 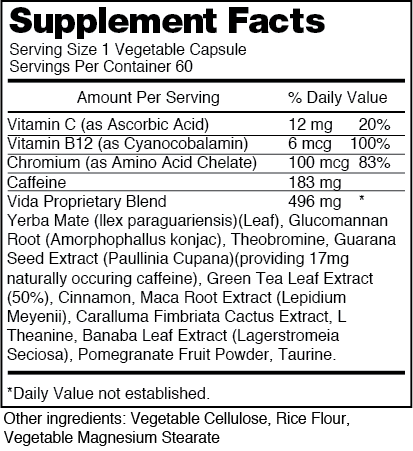 Take 1 capsule up to 2 times daily with food or as directed by a health care professional. Do not exceed recommended daily dose. Yerba Mate: Provides an energy boost similar to coffee, but with less caffeine and more nutrients. 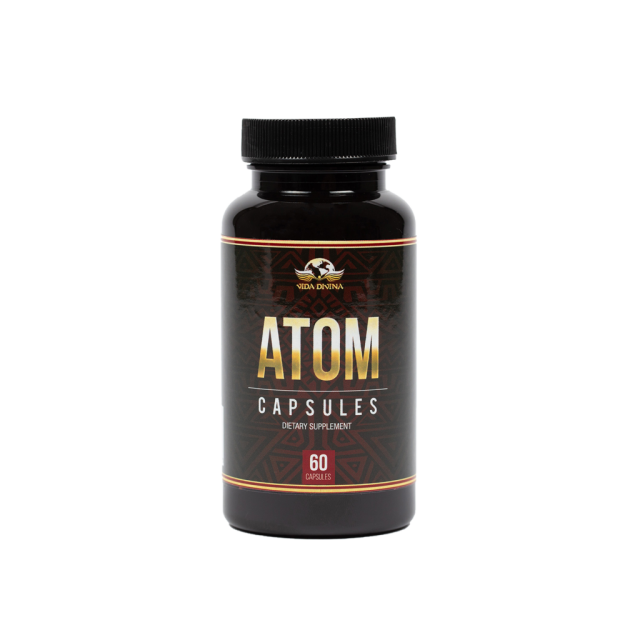 Guarana Seed Extract: Is a powerful supplement that acts as an appetite suppressant and a herbal stimulant to boost energy levels while reducing fatigue. Green Tea Leaf Extract: Green tea extract may aid weight loss by increasing the number of calories your body burns through thermogenesis*. Caution: Keep out of reach of children. Do not use if safety seal is open.